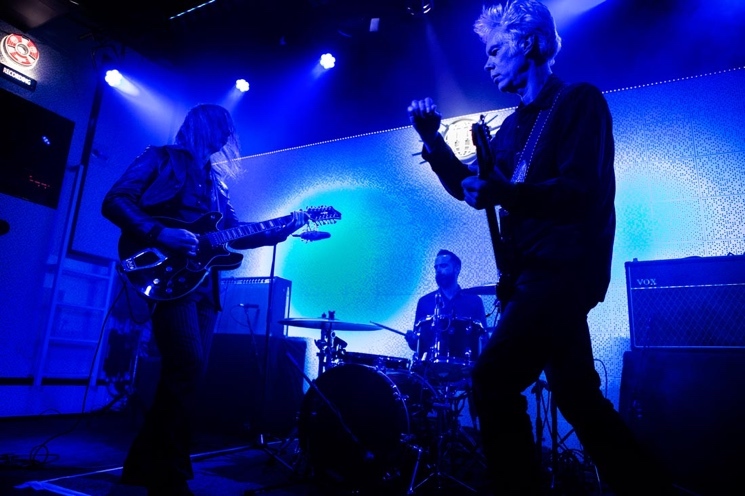 Musically inclined filmmaker Jim Jarmusch is poised to become the next artist to get a Live at Third Man concert LP from Jack White's prolific label. His band SQÜRL performed at Third Man Records' Nashville facility last night (April 1), and a vinyl release is on the way. The label had already confirmed that the doom-filled trio, which also features Carter Logan and Shane Stoneback, would be playing at its Blue Room venue. Not every artist who plays at the venue gets a live album, however — we're still waiting for Feist's 2011 performance to be released — so we didn't know if there would be an accompanying LP. In a post today (April 2), Third Man Records wrote, "We can't wait to bring this one to you on vinyl." In other words, hold tight, because the live album is coming. Photos of the set can be seen here.